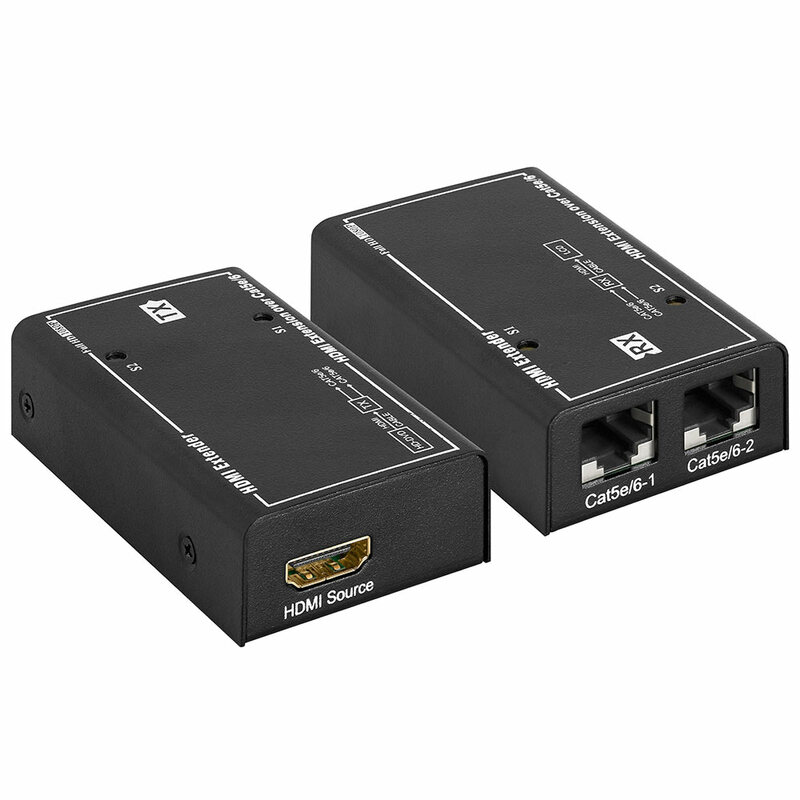 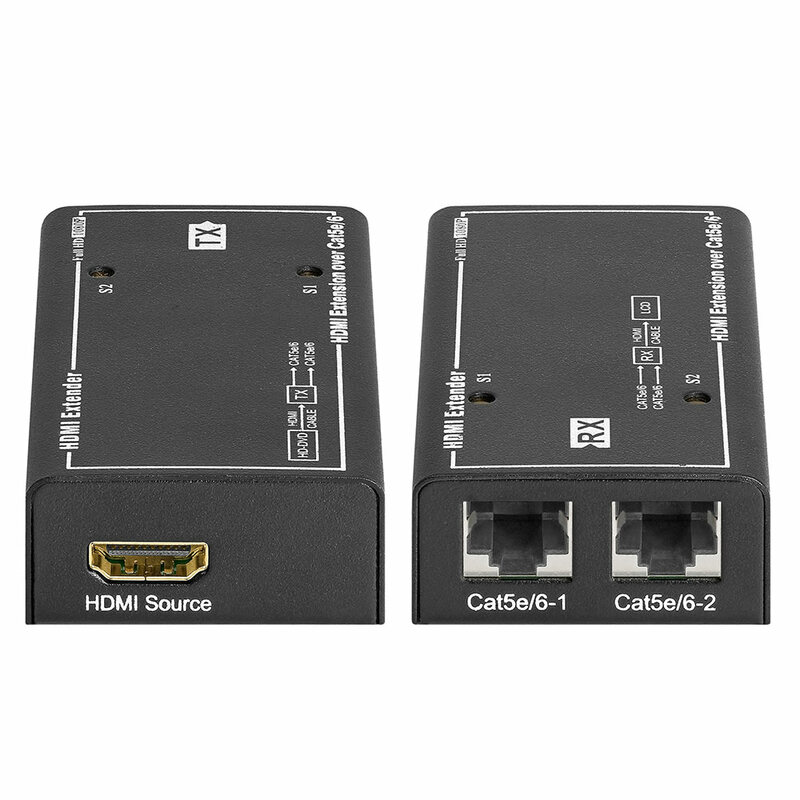 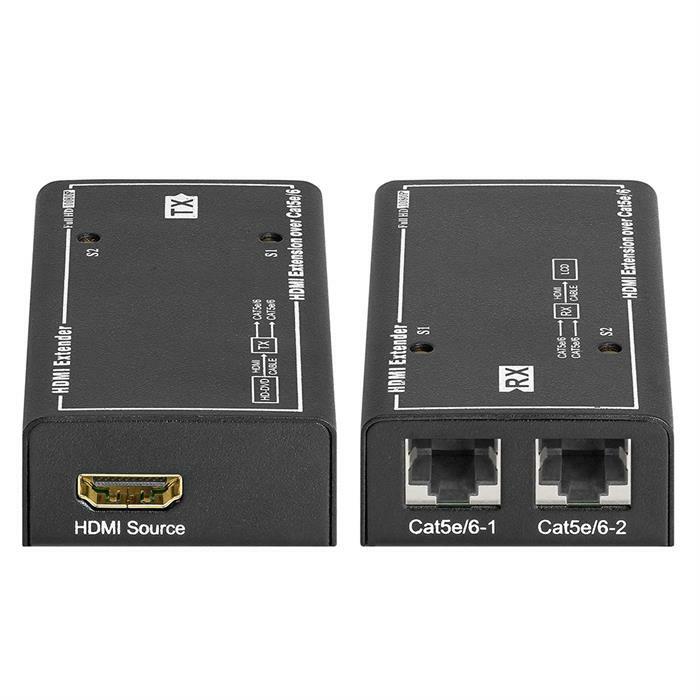 This HDMI transmitter and receiver is the right way to send your HDMI signal over long distances. 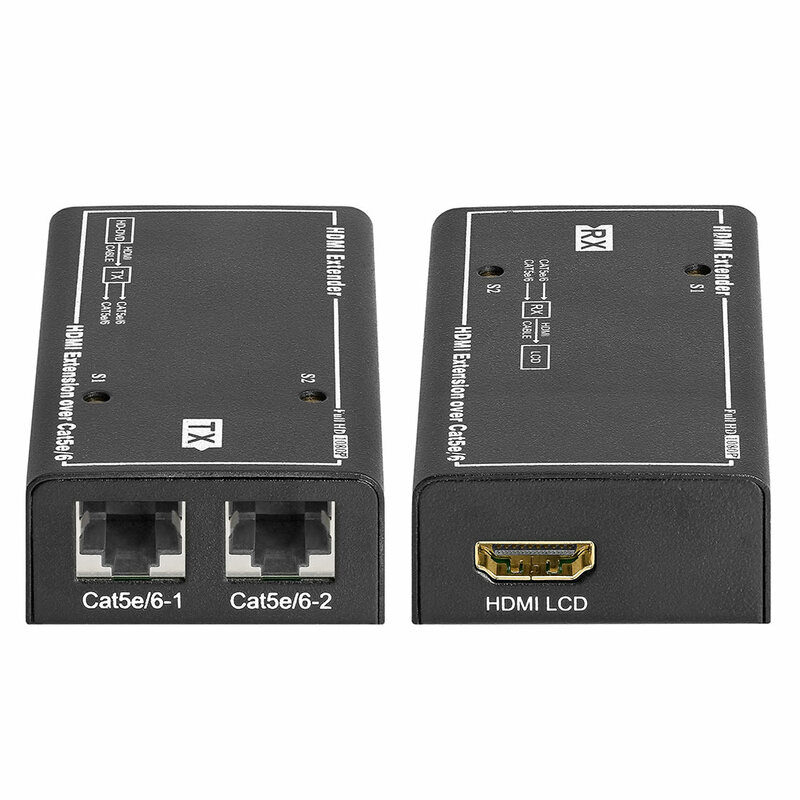 It allows you to use 2X Cat5e/6/7 cables to extend the HDTV display up to 60M for 1080P without signal loss. It is equipped with HDMI connector and is capable of supporting DVI equipment when used with an HDMI to DVI adapter. 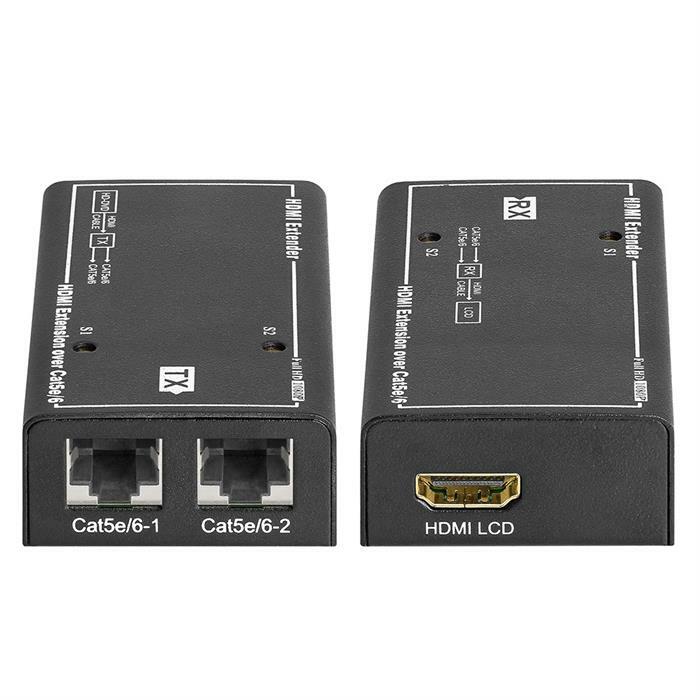 It follows the standard of IEEE-568b, Cat5e/6/7 cable can subsitude HDMI cable to achieve long distance transmission. 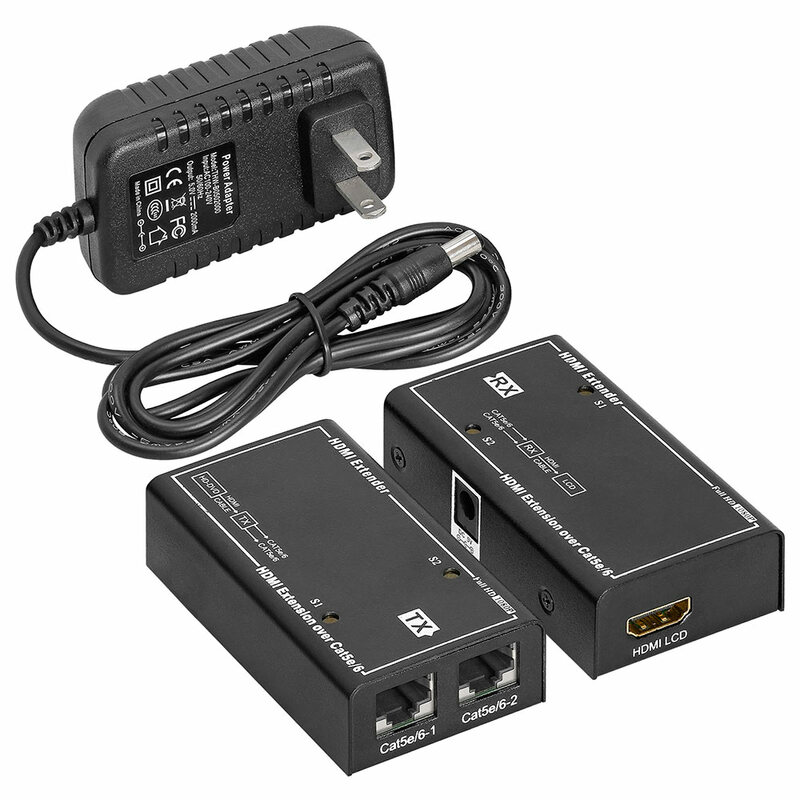 It is designed for use in home theater, professional A/V and personal computer switching applications.